It has been a while since I wrote a review in this little melty blog of mine. This post is a mini review on the recent (supposedly) limited edition Kylie Cosmetics Valentine’s Mini set. When it was first released I tried to check out on the website for about half an hour till it was sold out, I was then able to get it the 2nd restock. I am unsure of a 3rd restock on this so-called “limited” edition (that word means like nothing anymore lol, why you always lying? ) but by reading comments a lot of people are requesting for the Valentine’s Day collection to be back. Even Kylie tweeted asking if anyone wants High Maintenance back as a permanent lip kit and guess what? She announced on her cosmetics instagram that “Apricot” and “Head over Heels” will be back this tomorrow Friday 3pm pst Feb 24 in the lipkit size. Back to the quick review on this cute mini set. 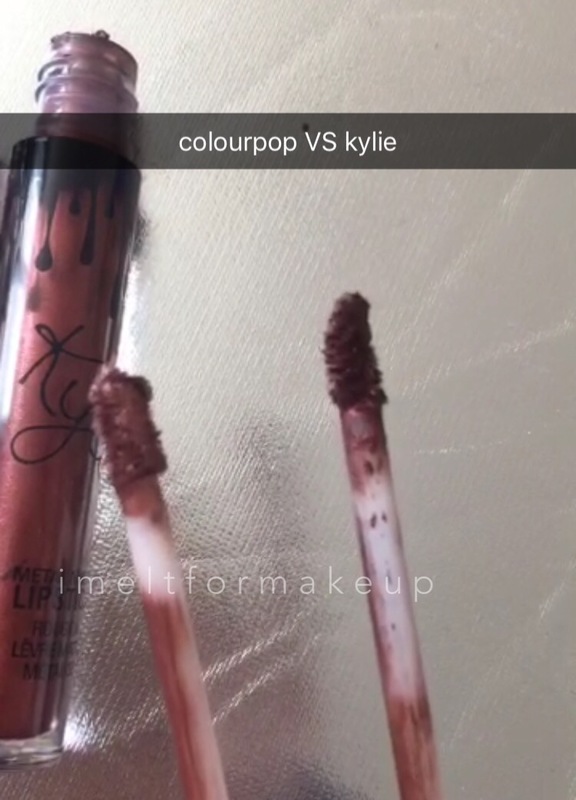 I think since I have tried both colourpop and kylie’s minis I prefer the fun sized ones over the regular. 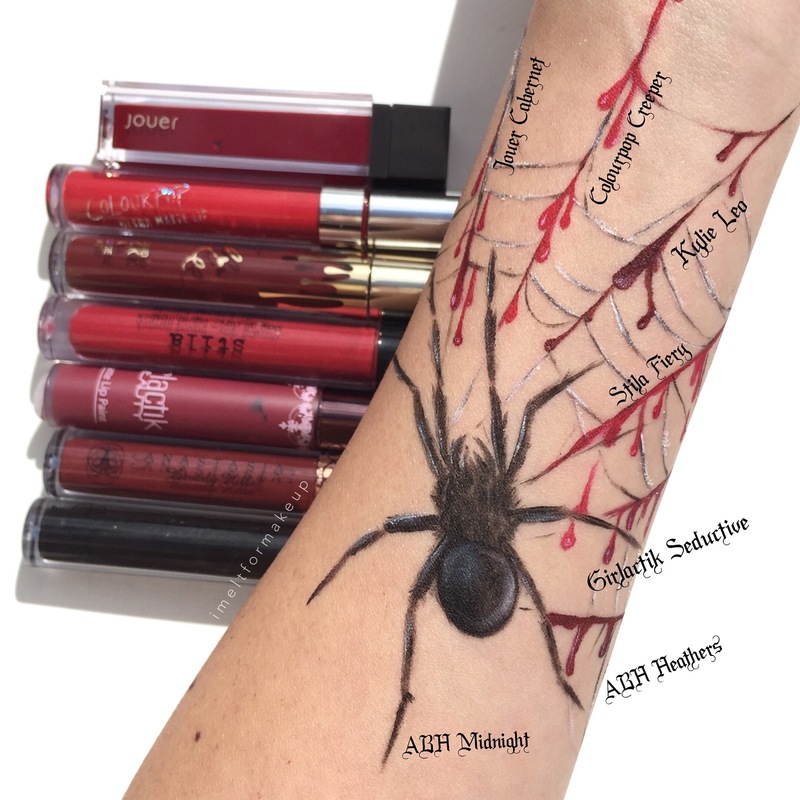 You get more colors for your money and who is going to finish a liquid lipstick tube anyways, not I. Also, for some reason the consistency is a little different and actually better in my opinion. This Vday set comes with 6 colors and 3 of them are new liquid lipsticks: High maintenance, Apricot, and Head over heels. I am not fond of Posie K it comes off a bit drying and patchy on me. The rest of the colors are nice and “Head over heels” is my favorite berry color from her line. I have yet to try Mary Jo, but Apricot is a little light for my taste and Maliboo I already have. High maintenance is neutral pink that I usually do not wear these days. 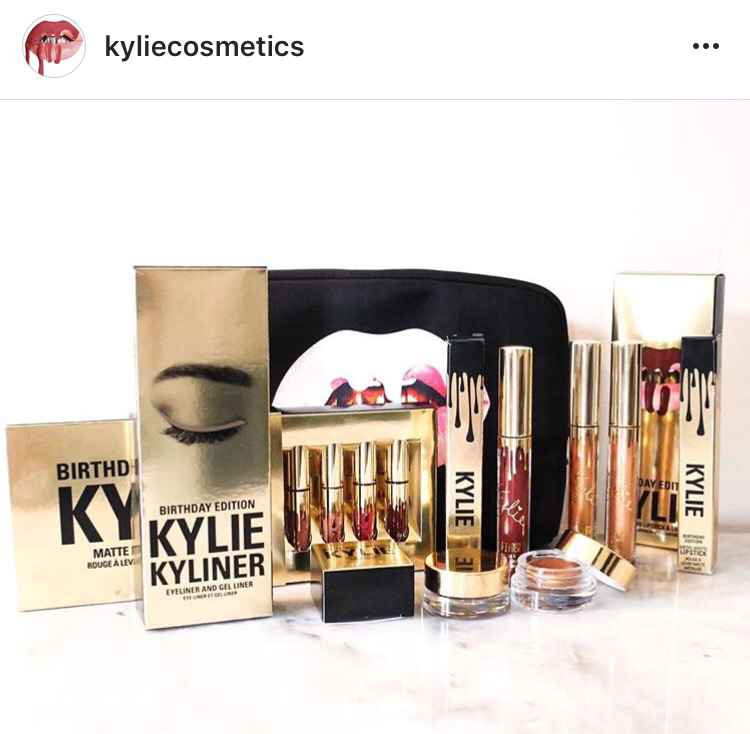 So if you are interested in the restock be sure to be prepared with your credit card info in hand, a fast internet connection, and lighting fast computer/smart phone skills and head over to kyliecosmetics.com at 3pm pst 2/24. Best of luck to ya! I know, almost all my recent posts are bout Kylie, Kylie, Kylie – I apologize. 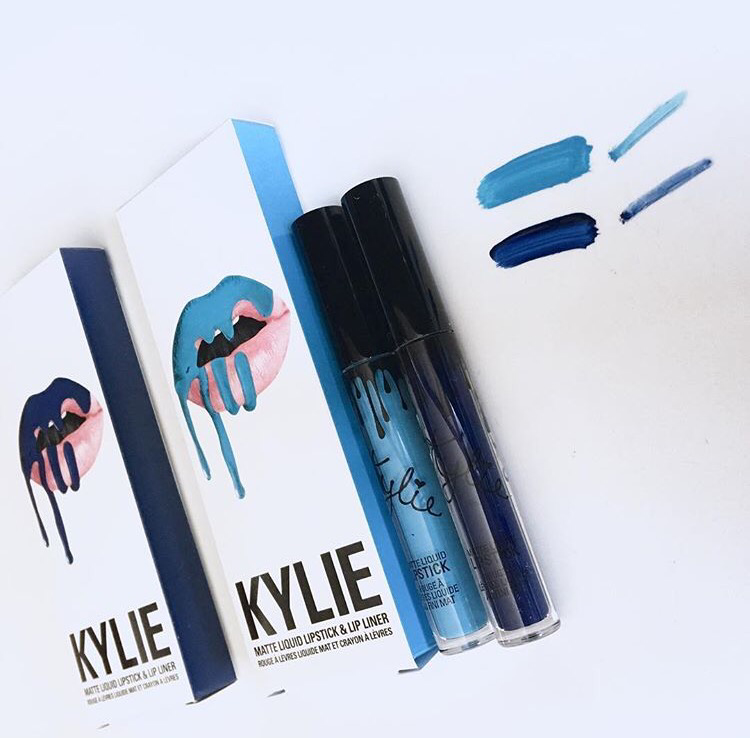 On Instagram I read many people were not able to order the Kylie limited birthday edition Leo liquid lipstick, because it sold out already or simply was on stuck on a “frozen” page. I couldn’t “letitgooo” so I tried the second restock and got regular sized Leo instead of the mini matte set that sold out in a split second (60 seconds, I lied). 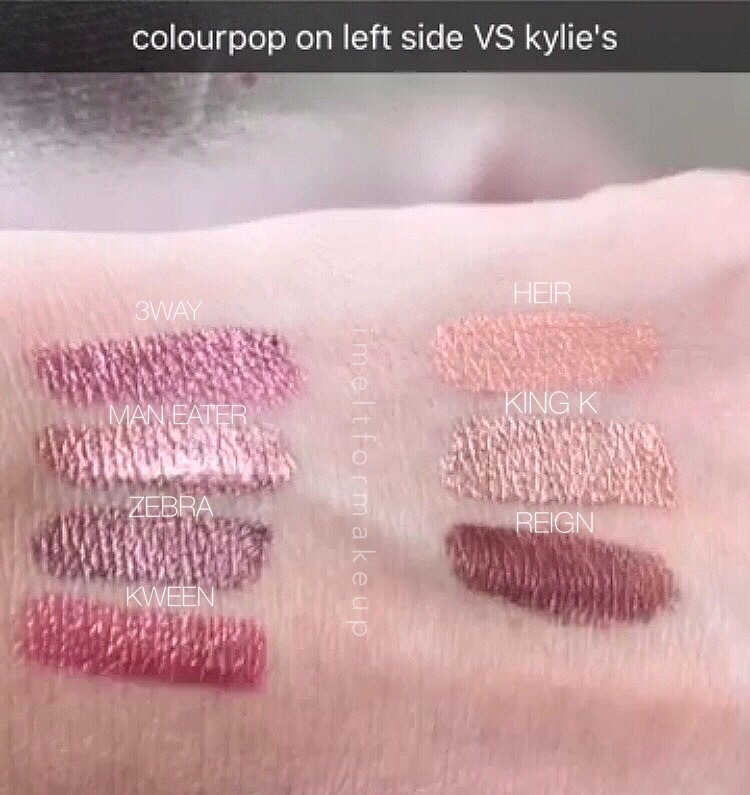 After I was able to acquire Leo in my haa-ands, I went and ordered some colourpop colors I felt looked similar for $6 each–and as rumor or fact has it that Kylie and Colourpop are made from the same manufacturer. Some colors I will discuss are almost an exact dupe. 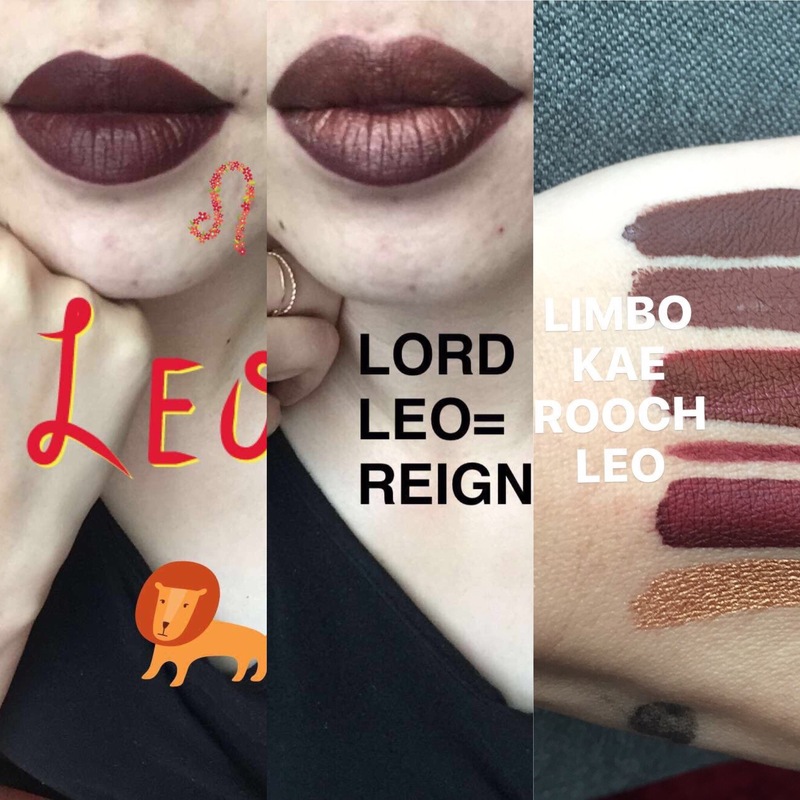 So I tried about 10 colors from my collection that look like similar to Leo, but some when swatched were either too purple or too red so I left those out for the dupe comparisons. Below are the best dupes I could personally find. Dupe 5# Colourpop Rooch Ultra matte liquid lipstick from their Karrueche Collaboration. This color is beautiful, it has a rusty undertone and not as deep as Leo. This would be the least of the bunch as a dupe. Being one of my favorite colors, it complements my skin tone, whitens my teeth, and really colour popping. The only downfall is after 4-5 hours it does start cracking a little. Some have experienced major cracking immediately. I will continue to wear it and buy a backup, because from all the colourpop colors I own this color I have gotten the most compliments and questions on. 🙂 Get yourself one, fall is just around the corner. Dupe #6: Colourpop Lax + Colourpop Prim I think a mixture of both colors would help the drying part and the non-transferproofness. Don’t forget to preppare your lips by exfoliating, wear lip balm a half hour before, and use a lip primer. Colourpop offers a cheap $5 lip primer here. 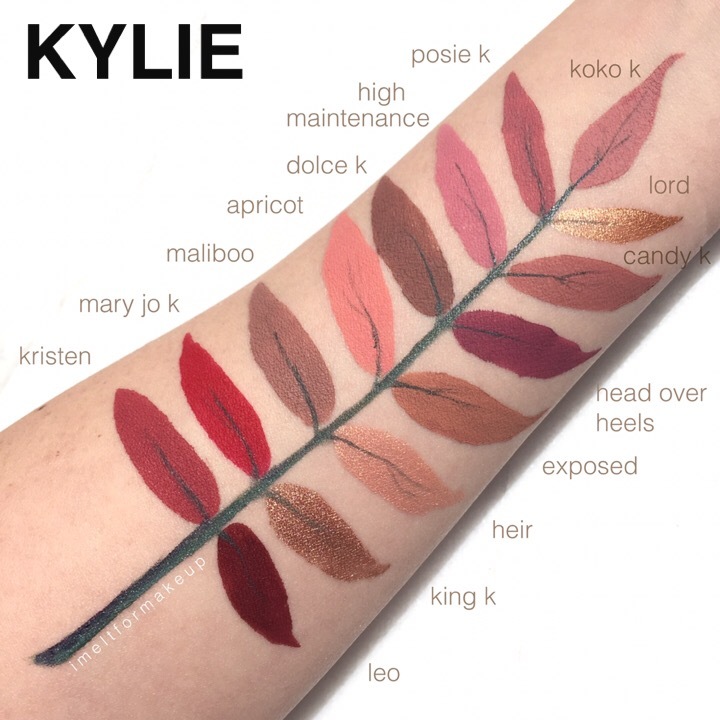 Kylie Birthday Edition Last Restock Today 8/10 3PM pst: Swatches, 1st Impressions, and Reign Dupe. These limited edition Kylie Cosmetics liquid lipsticks were hard to ge but I was able to get the Leo lipkit and Lord metal liquid lipstick on the 2nd round of restock but not the minis. Initially, I talked myself into only getting the mini set which includes 6 colors, but they sold out like.literally. in a minute, not cute! Today is the 4th and final round of restock which is on her actual Birthday. Will you be trying to buy anything? 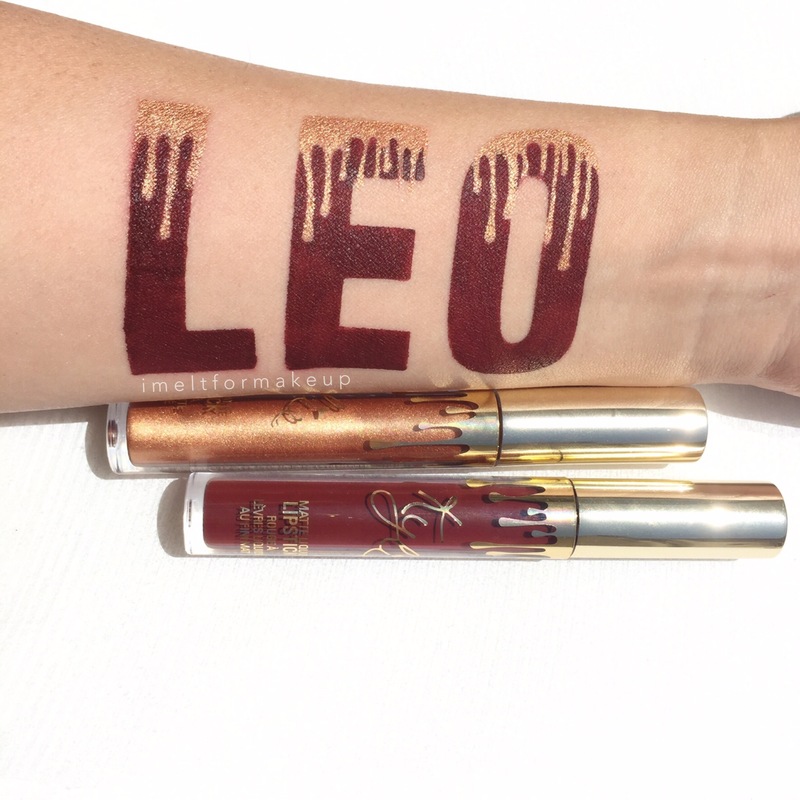 Well, I give up, as the quality really is similar to Colourpop and the hefty $8.95 shipping is LEOdicrous. So I received Kylie Leo & Lord yesterday 8/9 (ordered on 8/4) , and prior to receiving them I watched a youtube review of how Leo wore. Usually, I am too lazy to apply the lip liner, but with these darker colors and per the YT review the liner will help alleviate some of the unevenness. Also layering it too much does get uncomfortable, and lip movement is a bit restricted. The lord metallic liquid lipstick looks more like a bronzy gold and is something I would never wear alone, I would mix it or use it as a topper. The skeptical part of me did check to see if “Gold” was an ingredient listed on the box, and it is. 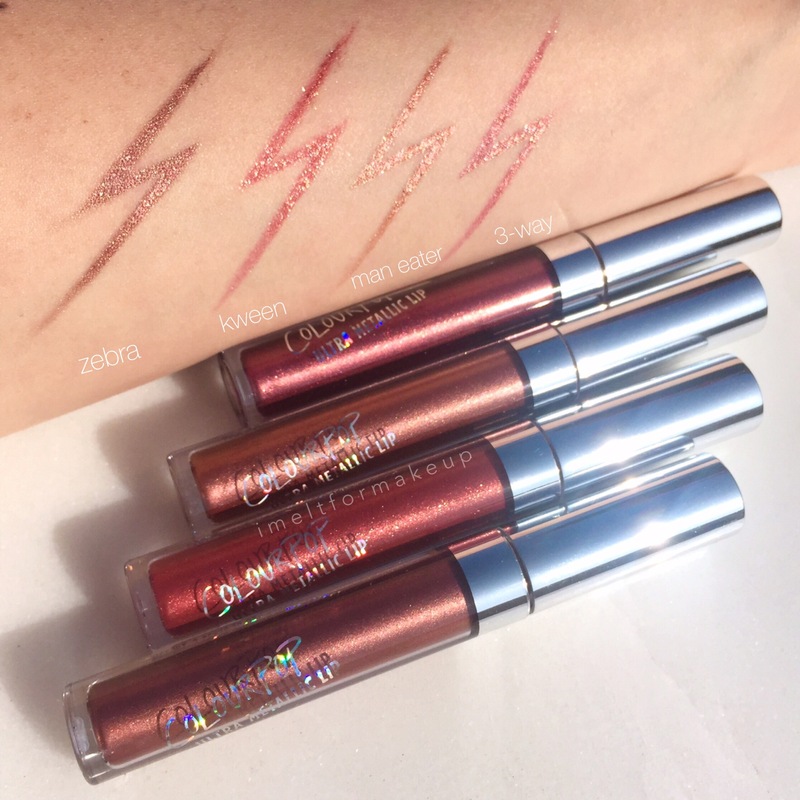 In my opinion, Colourpop metallics wear better and has a way better price point. Funny thing is Lord topped on Leo is a real good dupe for Reign! (See pictures below) I think this is the 3rd and last order I will make from Kylie, till maybe when she opens her storefront in LA. Metallic Metallic on my lip who is the mirrortastic of them all, you are Colourpop, YOU! Yet again, I fall into the need to buy every Colourpop’s new releases (which is almost every week). When there is a launch drought which is no longer than a week, I have the habit of just perusing theit online store..then buy… buy, buy, buy! Colourpop Ultra Metallic Liquid Lipstick – 3 Way: My favorite of them all, it’s a pretty plum gold with pinkish undertones. 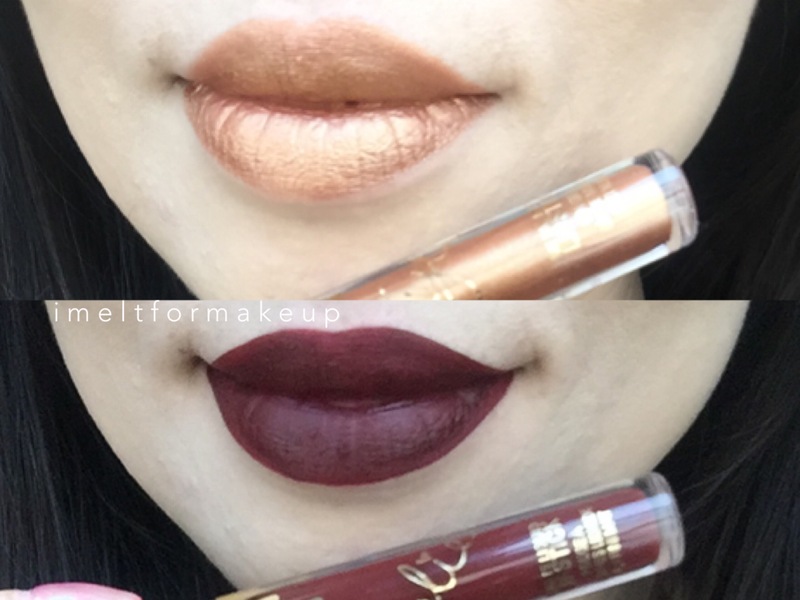 Colourpop Ultra Metallic Liquid Lipstick – Man Eater: Goldie bronze/Rose Gold. It’s like you ate a bunch of new pennies..not men. 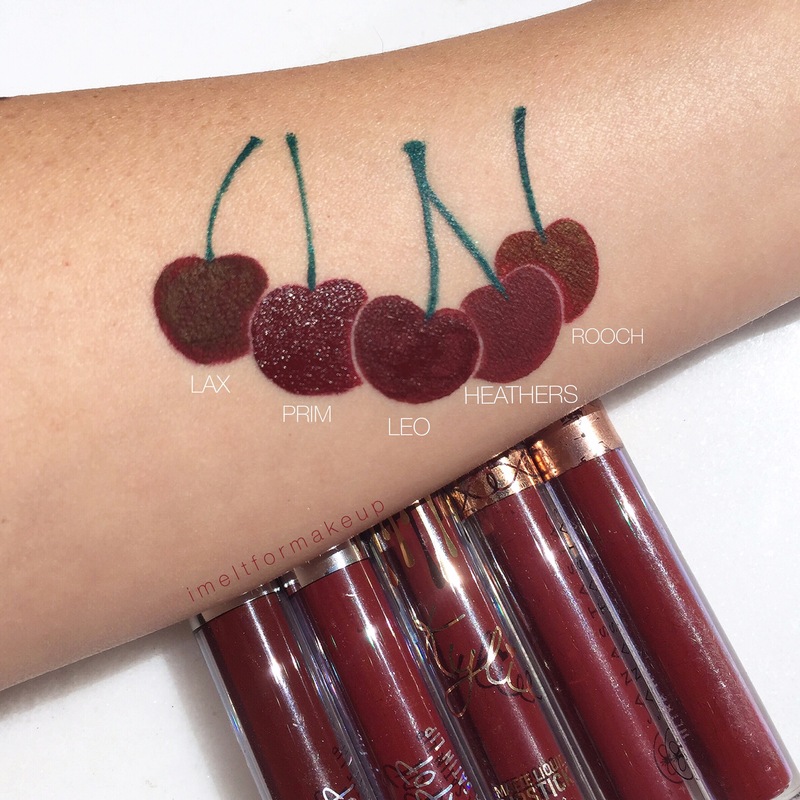 Colourpop Ultra Metallic Liquid Lipstick – Kween: Reddish Gold. Said in a British accent: for the Queen of of Hearts. Applicator: Short doefoot applicator, is a little hard to get the clean edges of the lip. Each bottle varied in quality of the doefoot, from fluffy, beaten up and almost lost underneath product. I Love how pigmented these are, they are super comfortable that I forget I am wearing it. It works great as a matte liquid lipstick topper or as a lip highlighter. The colors are beautiful. I think I will need to get some backups in there next restock (#2 restock) They did say they were limited, yet already had a restock and planning on the 2nd restock. 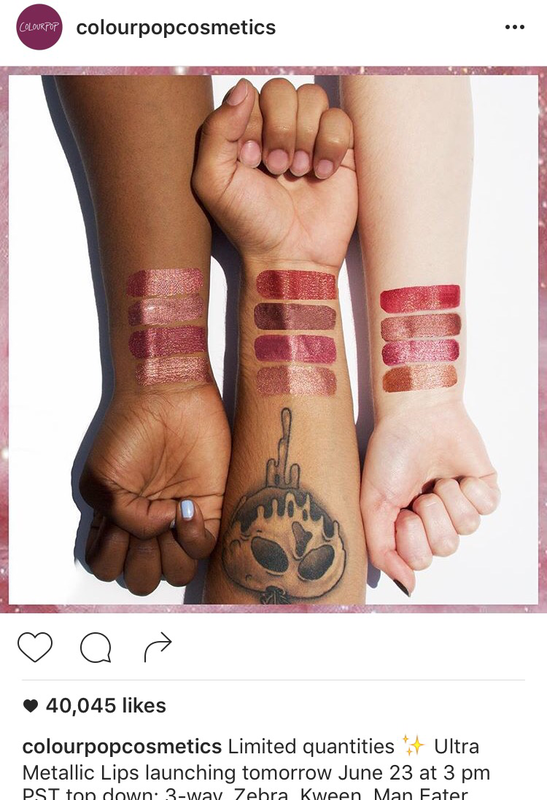 Makeup Geek Cosmetics Marlena plans to launch her “lip stains” in November. 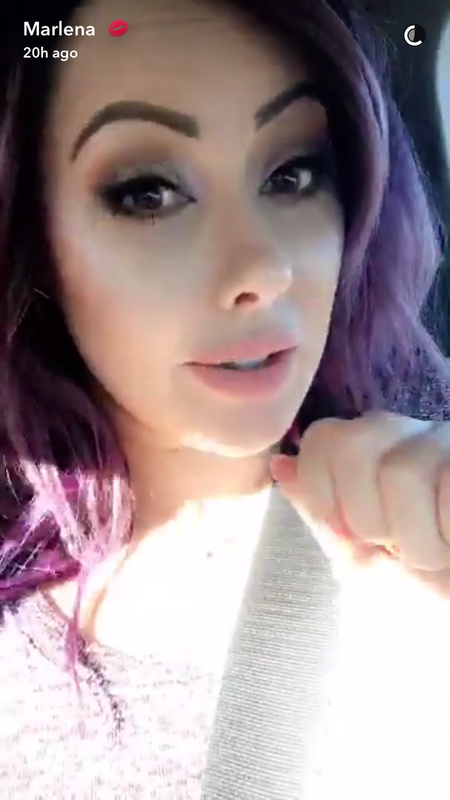 It looks like liquid lipsticks in her snap, and has shown 2 colors she has been constantly wearing on her lips. It took her 2years to develop them. Kylie Jenner is looking for a LA store front location for Kylie Cosmetics!